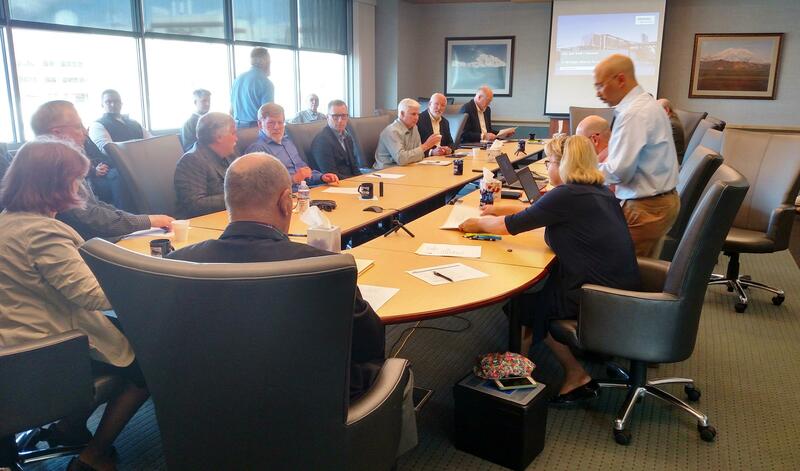 Members of the IGU board, along with members of the Siemens Government Technologies team and AIDEA board member Gary Wilken and others, meet Tuesday in the Mt. McKinley Bank Building conference room downtown. 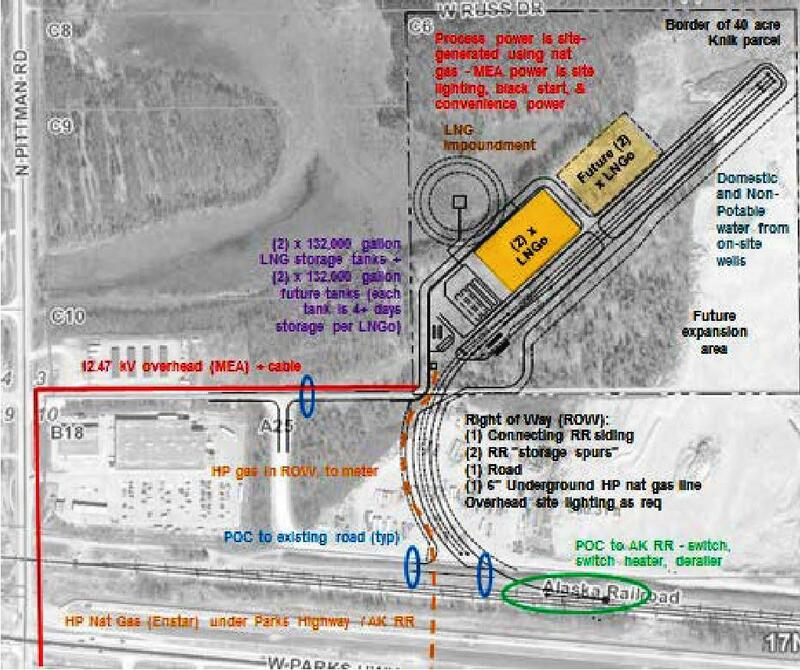 Siemens proposes to bring natural gas to Fairbanks from a plant it would build near Wasilla by the end of next year at a price that’s about the equivalent of 2-dollars-per gallon heating oil, the price point IGU officials say it must attain to attract enough customers to convert from oil to gas heat to make the project viable. “The other thing that I think is really, really attractive about Siemens’ (proposal) is bringing in other users, big users, possibly military, hospital, university,” she said in an interview after the meeting. The Knik-Siemens 40-acre parcel is located just off the intersection of Pittman Road and Parks Highway near Wasilla. The Siemens officials declined to comment and referred queries to their corporate headquarters. Throop says her concerns include Siemens projections that show the natural gas retail price rising over the next several years to a level that’s higher than the 2-dollar-a-gallon heating oil equivalent. But overall, she’s inclined to support the proposal, and she says some of her fellow board members are, too. Some had questions at Tuesday’s meeting, especially Jack Wilbur, Mike Meeks and Steve Haagenson. 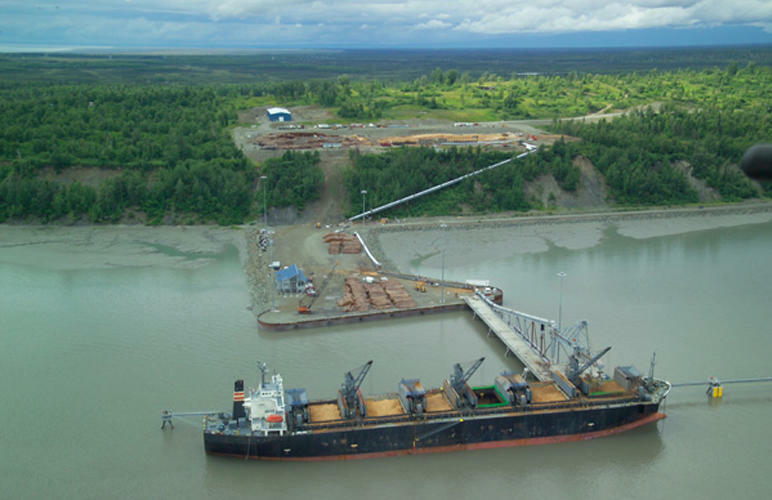 And so did Gary Wilken, a former state lawmaker from Fairbanks who now sits on the Alaska Industrial Development and Export Authority board of directors. AIDEA’s board also would have to approve Siemens’ proposal. Wilkens says it would have to offer the certainty of bringing in gas at the lowest price possible, as he says AIDEA’s plan does. “The Siemens challenge is to bring the certainty that we have with our other proposal to the table, to decide whether it is indeed a viable one,” he said after the meeting. Wilken says he and the other AIDEA board members haven’t had a chance to fully review the Siemens’ proposal. He says AIDEA officials will do that, and will be especially mindful of its impact on keeping prices low for IGU customers. 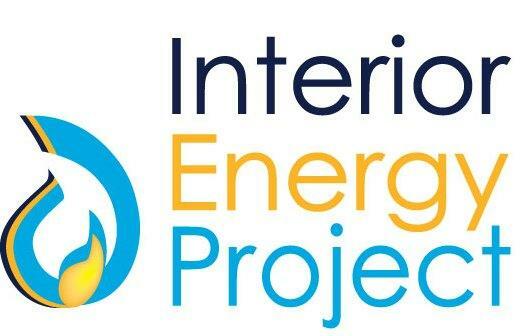 Updated: The Interior Gas Utility board of directors this morning unanimously approved an agreement to further explore an offer by a Cook Inlet natural gas-supplier. IGU’s top executive says the company has proposed to provide gas to the utility at a better price with a longer-term contract than the present arrangement with Anchorage-based Hilcorp. But that’s about all the utility’s officials would say about the proposal. 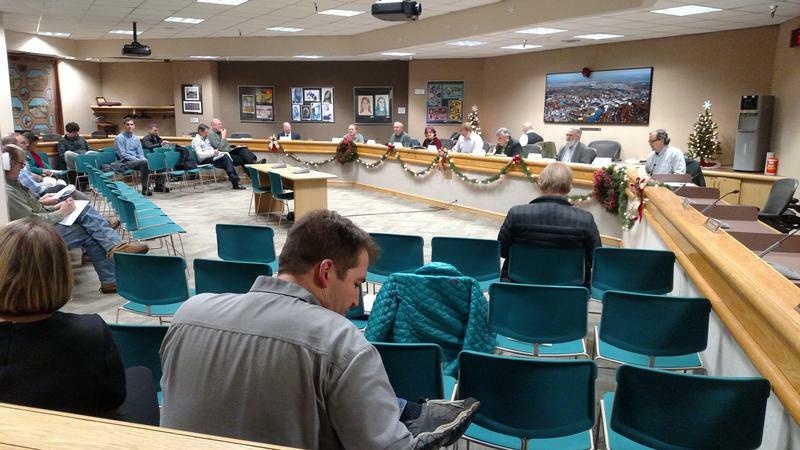 The Fairbanks North Star Borough’s Interior Gas Utility is considering taking control of the state backed Interior Energy Project. 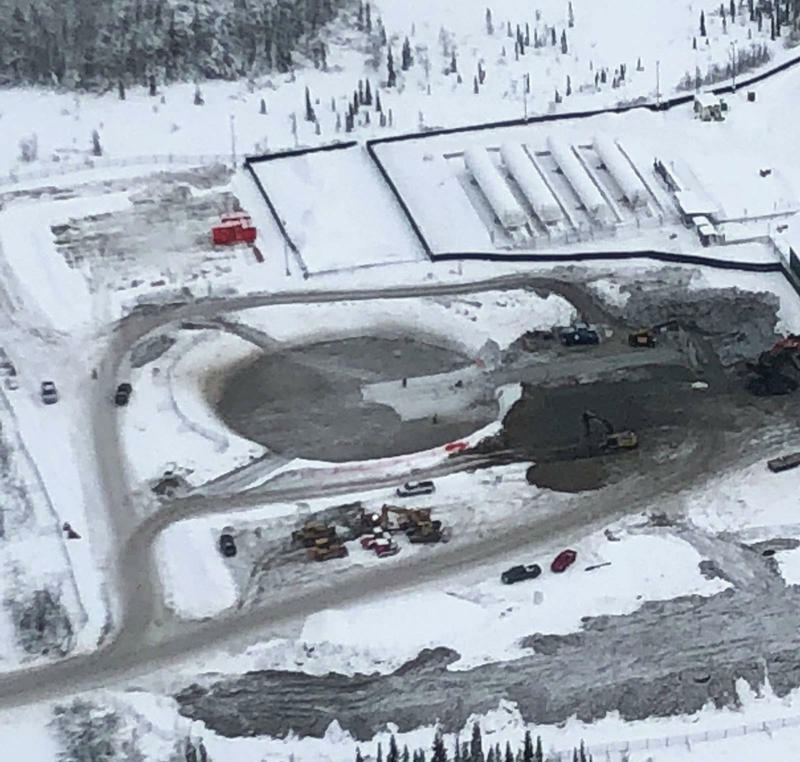 Its aimed at increasing the supply of natural gas in the Fairbanks area, and the Alaska Industrial Development and Export Authority has shepherded the effort to a point where it’s ready for transfer to the local non-profit utility. As KUAC’s Dan Bross reports, the IGU is weighing risks and benefits as it looks at taking on the project.